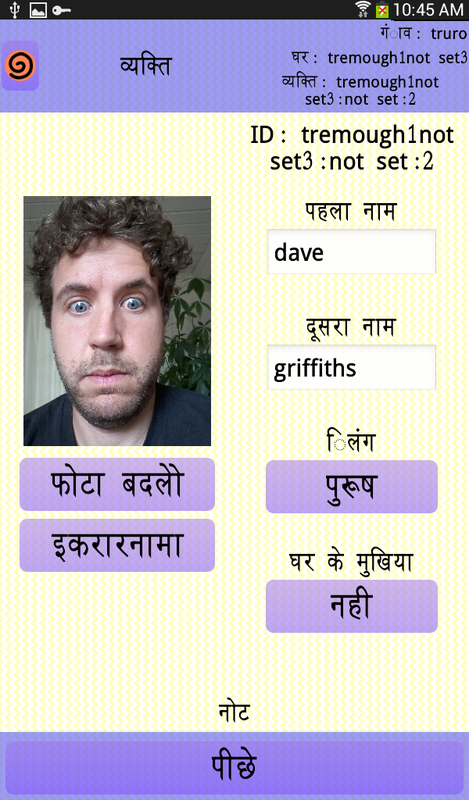 A couple of screenshots of the hindi version of Symbai – our solar powered Raspberry Pi/Android anthropological research tool. As is usual we’re still having a few issues with the unicode but it’s nearly there. We’ve been working on this software for the last few months, making sure the data (including photos and audio recordings of verbal agreements) synchronise properly across multiple devices. 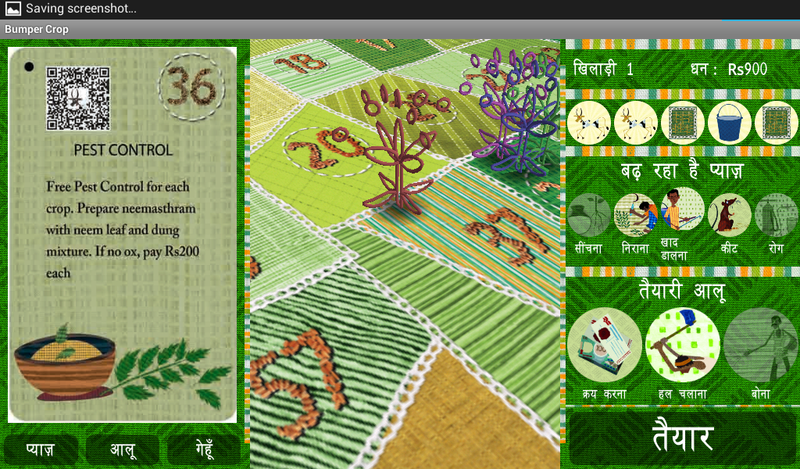 I’m currently working out the details with artist Saswat Mahapatra and Misha, who have been part of the team developing this game based on fieldwork in India working with farmers from different regions. They began by developing a board game, which allowed them to flexibly prototype ideas with lots of people without needing to worry about software related matters. This resulted in a great finished product, super art direction and loads of assets ready to use. I very much like this approach to games design. From my perspective the project relates very closely to groworld games, germination x, as well as the more recent farm crap app. I’m attempting to capture the essence of the board game and restrict the necessary simplifications to a minimum. The main challenge now that the basics are working is providing an approximation of bartering and resource management between players that board games are so good at, into a simple interface – also with the provision of AI players.